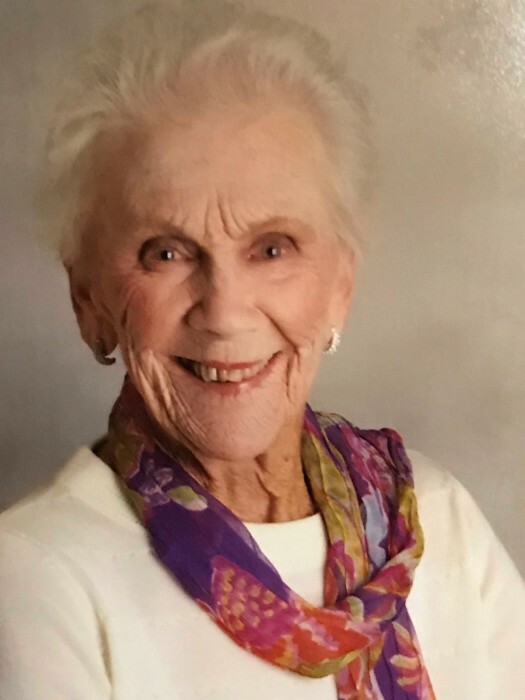 Mary A. Flannery, 94, of Farmingdale, formerly of Red Bank, passed away Wednesday, November 28th at home with her family by her side. She was born and raised in Jersey City, where she lived with her parents, John J. and Anna Klein, and her five siblings. Mary moved to Monmouth County in 1955. She became an active, longtime member of St. James Parish in Red Bank where she raised her six children. Mary worked for years in the Guidance Department of Red Bank Catholic High School. Upon retiring, she and her husband Jack traveled the world multiple times and enjoyed winters in Siesta Key, Florida. They moved to Farmingdale in May of 2013. Her beloved husband Jack passed away in 2013. Mary is survived by her 6 loving children and their spouses; Kevin Flannery (Arcata, California), Jack and Linda Flannery (Tinton Falls NJ), Joan and Paul Barrese (Bradenton, FL), Donna and George Anders (Farmingdale, NJ), Gail Bowsher (Maplewood, NJ), and Douglas Flannery (Highlands, NJ). She was a loving grandmother to her 13 grandchildren and 2 great-grandchildren. A celebration of her life will take place on Sunday, Dec. 2nd, from 4:00 – 8:00 pm at the John E. Day Funeral Home, 85 Riverside Ave., Red Bank, NJ. A Mass of Christian Burial will be Monday, Dec. 3rd at 10:00 am at St. Catherine of Sienna Church, 31 Asbury Road, Farmingdale, NJ. Interment will immediately follow at Mt. Olivet Cemetery, Chapel Hill Rd. Middletown, NJ. In lieu of flowers, please consider donations to Meridian Hospice, 1340 Campus Parkway, Suite A3, Neptune, NJ 07753.